Telling the stories of fifty women—duchesses to laundresses—who were involved with the Pre-Raphaelites, this book brings together stunning illustrations and little known stories to rewrite the history of an artistic movement that has held its popularity for more than a century. From models to artists, these women all contributed something personal and incredible towards the most beautiful and imaginative art movement in the world. Redefining what it meant to be attractive and influential in a male-dominated world, they broke new ground in art, business, and women’s rights. In these pages we learn more about faces long familiar from classic paintings, but we also meet women who worked behind the scenes. Together, these portraits recast our understanding of the Pre-Raphaelites and reveal an enchanting, revolutionary band of women who remain unlikely and compelling role models today. 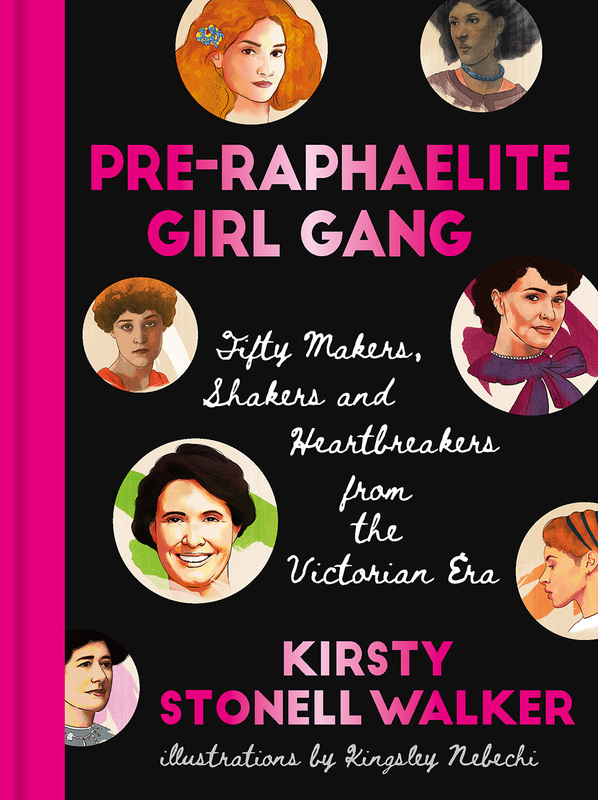 "Telling the stories of 50 women--duchesses to laundresses--who were involved with the Pre-Raphaelites, this book brings together stunning illustrations and little-known stories to rewrite the history of an artistic movement that has held its popularity for more than a century. From models to artists, these women redefined what it meant to be attractive and influential in a male-dominated world; they broke new ground in art, business, and women’s rights. This enchanting, revolutionary band of women remain unlikely and compelling role models today." "This brightly coloured hardback contains a confection of research, playfulness and theatre. The lives of fifty women are described and examined and offered to the reader sometimes with a valuation and frequently in a way that encourages one. These are like theatrical vignettes. . . . This is a book that you can read all the way through or dip into. . . . It is also a book that you can confidently give as a gift. It can appeal to anyone with imagination and a sense of humour and an interest in art, whatever their prior knowledge. It is thoroughly illustrated with the relevant portraits of the characters and the other paintings in which they appear: as the muse, the principal character, the adored one, or a player in the scene. Alongside of these are interesting contemporary portraits of each of the women by the artist Kingsley Nebechi. This book is a celebratory claim for the spotlight that has so lit up the 'Brotherhood' to be shared by the sisters: models, muses, wives, lovers, and in many cases, though often downplayed or hidden, fine artists."